After years of development and input from the top bowfisherman in the world, PSE takes bowfishing to a whole new level with the 2018 Mad Fish Bow ! Featuring our all-new swappable cam modules , the Mad Fish delivers a 50% let-off for shooting Deeper fish at higher draw weights or a constant draw weight module for snap shooting. Available in DK'D Green, DK'D Red, DK'D Yellow and DK'D Orange. Looking for ideal One Snap Shot Rest Manufacturer & supplier ? We have a wide selection at great prices to help you get creative. All the Swappable Cam Module are quality guaranteed. 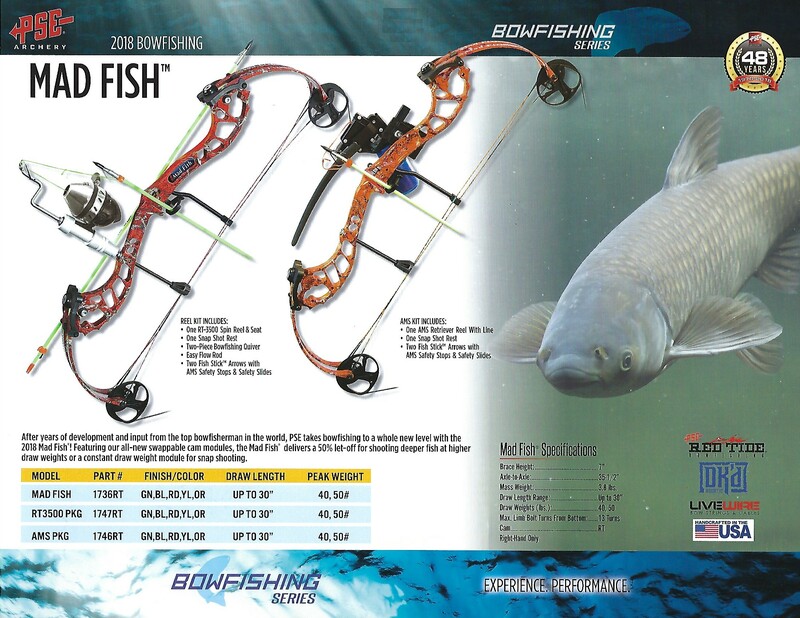 We are China Origin Factory of Bowfishing Deeper Fish. If you have any question, please feel free to contact us.